Ban Break Fees or was that exit fees .. I thought that headline would attract your attention and if you think break fees (break costs) are already banned then you are confusing exit fees and break fees which only apply to fixed rate home loans. The truth is that as a mortgage broker I don’t support a ban on break fees, that would make our system more like the USA and I can’t think for one moment why we would want to mirror any of their mistakes. Since (IMO) we already operate in an overly regulated environment where so many of the regulations are pointless or perform contrary to the regulators intentions I do believe that exit fees need to be regulated and could be easily and fairly for all involved. What are exit fees – these are sometimes referred to “break costs” or the “economic cost” and is the amount of money that the lender will not make on the loan amount, if they have to re-lend it in the current market. 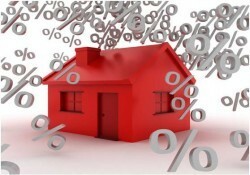 Obviously if rates have increased then the lender makes a windfall profit – which they generally never share. Whereas if rates have fallen the lender may make less money than they would have and so they are entitled to recover the ‘economic costs’. For example if you break a $350,000 loan with 30 months fixed period still to run and lender earns 1.50% below what you fixed at then you will be up for $13,125 in break costs. Where I think the regulation is required, is that there is no single basis for how the cost is calculated. Some lenders may compare the 90 day bill rates or their actual retail rate on the day but many use their cost of funds and there is no requirement for lenders to divulge any of this in the mortgage contract. They are required to explain how the break is calculated which involves mathematics beyond the average persons comprehension and when you request a break fee quote they are compelled to again provide the calculation however they are only compelled to disclose the actual cost of funds if a dispute arrives at the credit ombudsman. All under the name of commercial in confidence. This means there is no way for you to compare the potential break costs of one lender over another. Given that lenders score a free windfall if rates increase I think there should be some room for manoeuvring on this. Why not simply quote a standard using the 90 Day Bank Bill Swap Rate ( BBSW) which should be quoted on the mortgage document, just as the current standard variable rate is quoted and then calculate the economic cost on that against the current BBSW on the date of the break. All above board and no need for lenders to disclose cost of funds or margins – too easy and too sensible.